I'm in Stillwater, MN, today because Linda is having her hair done at her cousin's fabulous shop, JAZZ Hair Salon. I have recently become interested in the history of Windemere township in Pine County, Minnesota from 1895-1909. 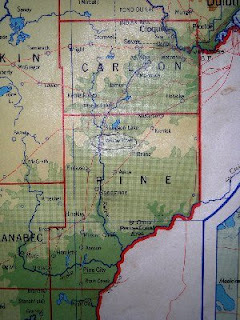 Windemere township lies on the northern edge of Pine County immediately south of Moose Lake township in Carlton County. The reason for the interest is that my grandparents homesteaded a farm there. They had moved from Buffalo, New York in the year following the great Hinckley fire. Any research into this subject naturally leads one to both the logging industry and the railroad industry. Both of these come together in Stillwater at the depot museum, home of the Minnesota Zephyr. I thought that this day should give me a good opportunity to stop in at the museum. 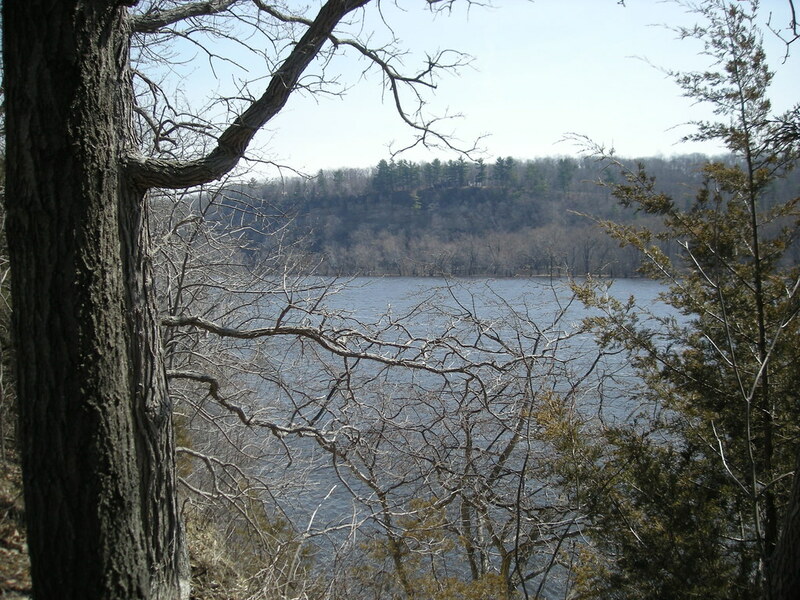 After dropping Linda off at her cousin's, I headed up to the St. Croix Boom Site , just north of town. This is the spot on the St. Croix river where logs belonging to various owners were sorted out of the river and fed into the huge sawmills at Stillwater. The Kettle River and Moose River flow together near Sturgeon Lake and then the Kettle flows into the St. Croix near Pine City. These rivers were the routes that the huge white pine logs traveled in the earliest days of lumbering in Minnesota. 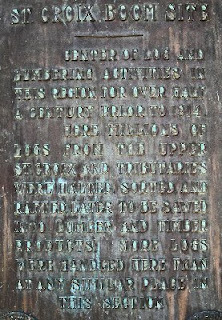 The bronze marker is a bit hard to read but says: Center of log and lumbering activities in this region for over half a century prior to 1914. 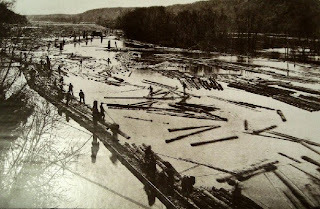 Here millions of logs from the upper Saint Croix and tributaries were halted, sorted, and rafted, later to be sawed into lumber and timber products. More logs were landed here than at any similar place in this section. As you look out at the river, your mind can easily imagine how the scene must have appeared back in 1900 as workers hopped from log to log sorting them our with poles and peaveys. 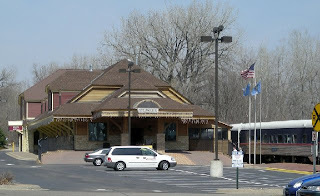 I had Googled “Stillwater museum hours” and found a link to the Zephyr station and museum but no hours – only a telephone number in the 612 area code. I doubted the 612 area code but gave it a try - "the number you have dialed ..." I tried the number using 651 for an area code and got an answering machine. Well, at least it must be open. I headed down to the museum site and found it dark and locked but with a bell to ring next to a sign that did say OPEN. Oh, and there is a large “For Sale” sign out front. Soon A lady appeared and I asked “is the museum open?” “I'm sorry, you're eight years too late”, she replied. But she invited me in to look around at what was still there. It seems that the logging museum had been converted into a bar and restaurant quite a while back. Pretty soon I had helped them find the incorrect web link to their hours and phone numbers and also met the owner, Dave Paradeau. What a story he has to tell about government promises. Seems the state promised they were going to buy him out and a year later decided they were just kidding! He is now trying to get the train back on the tracks by May 10th. Since the restaurant had been scheduled to close, many owners of the logging memorabilia had taken them back. I did get the chance to take pictures of a couple of the old logging photos hanging on the wall though before leaving. 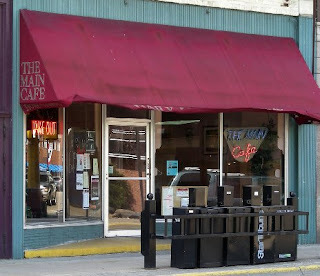 Next I headed downtown to my favorite Stillwater lunch restaurant, the Main Cafe. 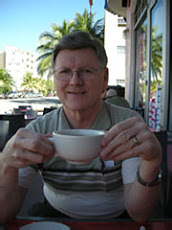 I had my usual Cajun Chicken Salad, a bowl of Barley soup and a piece of Boston Cream Pie for dessert. The service and the food are both excellent here. And they pay attention to their customers. One time I ordered a different salad from a substitute waitress and the cook sent her back to make sure that was what I wanted! Guess that qualifies me as a "creature of habit" if not "stuck in his ways." Not terribly exciting but certainly interesting on what turned out to be the warmest day of the year so far with temperatures reaching the middle 60s.